The e-commerce site Etsy is almost entirely powered by millions of independent sellers who offer everything from vintage clothes to freshly made slime. A good number of these entrepreneurs make their living by selling stuff on the site, which explains the anger that many of them felt towards a recent policy change at the company. Instead of collecting a transaction fee of 3.5 percent of sales, Etsy now plans to take a 5 percent cut of both sales and shipping costs. This 43 percent increase could prove to be too much for small business owners operating on tight margins. For instance, under the old policy an item that cost $40 with $5 in shipping costs would come with a transaction fee of $1.40. Under the new rules, however, the fee increases to $2.25. While that might not seem significant on its own, those additional costs certainly stack up over time. As a result, some Etsy sellers are threatening to quit the site if the policy goes into effect. “I understand what they’re doing, but rarely do you walk into your boss’ office and they say, ‘We’re cutting your pay by 1.5%. Tough cookies. And it’s happening in 30 days,’” said Jasanna Baumann, an entrepreneur who has sold clothing on the site since 2015. She claims that her company’s projected annual sales have fallen to $55,000 from $80,000 at the beginning of the year. 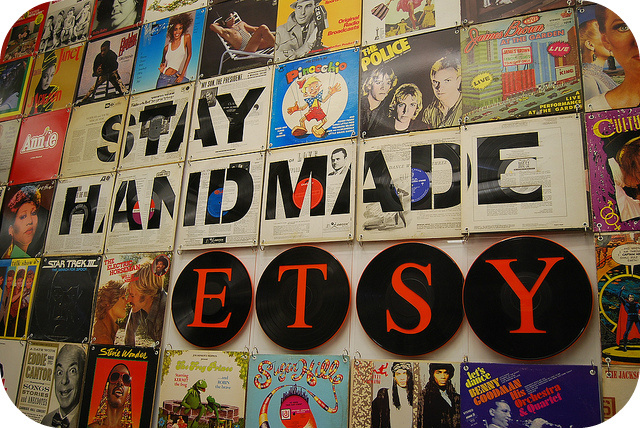 Should Etsy reconsider its rate hike after the outcry from sellers? Why or why not? Who do you think are the most important stakeholders for Etsy: its sellers or investors? Source: Leticia Miranda, “Some Etsy Sellers Say Their Shops Won’t Survive The Company’s New Fee Hikes,” BuzzFeed News, June 15, 2018. Photo by Charles and Hudson. I think any e-commerce operation built on it’s customers endeavours needs to be very careful about upsetting them. I think other platforms will be very quick to offer a place for any upset sellers to move to. Since its IPO in 2015, Etsy has struggled to reconcile its company ethos of social responsibility with its financial reality and shareholder pressure. 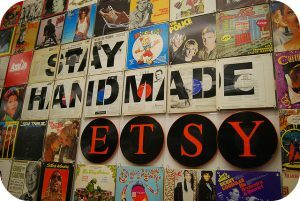 The company s mounting losses and falling sales growth led Etsy s board to replace former CEO Chad Dickerson with Silverman last year. Under Silverman, Etsy is more focused, and its numbers are trending up but Etsy also gave up its B Corp designation last year and reportedly axed the team that oversaw social and environmental initiatives.